Two classic films from the King of Comedy. 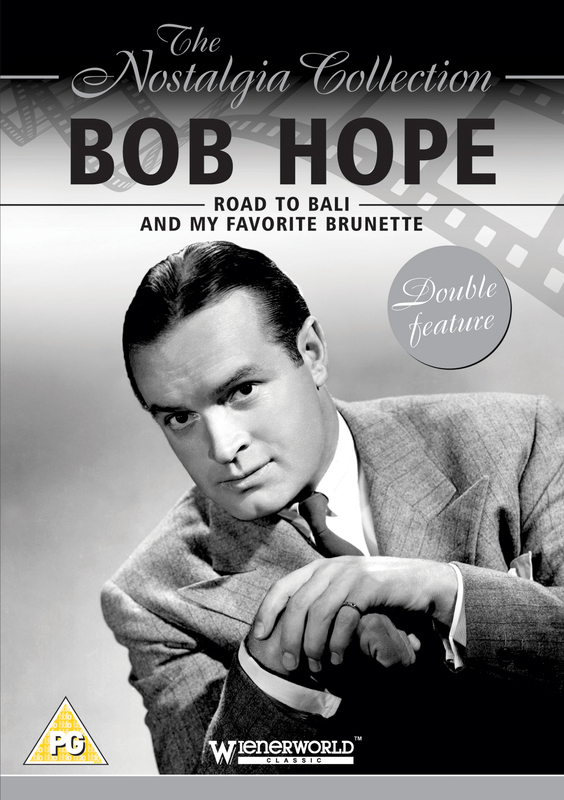 This DVD features two Bob Hope classics: Road to Bali and My Favorite Brunette. ROAD TO BALI (91 minutes): In the only "Road" film to appear in color, Road To Bali sees two song-and-dance men hurriedly leaving Melbourne to work as divers. On the way to Bali, they journey to an idyllic island where they compete with each other for the affection of Princess Lala. Meanwhile, some shady locals become interested in the dive after it produces a chest of priceless jewels. Bing Crosby and Dorothy Lamour also star in this musical comedy. MY FAVORITE BRUNETTE (87 minutes): Bob Hope plays a photographer who yearns to be a detective. One day his wish comes true as he is mistaken for a detective by a mysterious woman and gets involved in his first murder mystery, but he very quickly finds himself out of his depth. Peter Lorre stars with Bob Hope in this 1947 black and white comedy romance. The magnitude of his awards surpassed that of any other entertainer and earned him a place in the Guinness Book of Records. Appearing on television, in films and on the radio, Hope became one of the most acknowledged, talented profiles in the world. To this day, Bob Hope (1903-2003) remains 'The King of Comedy'. No one else in the world of show business traveled or entertained to the extent that he did.